The dramatic increase in the prevalence of autism spectrum conditions among children and adolescents and the correspondingly large number of youth transitioning into adulthood has created an urgent need to address the mental health problems faced by many adults on the autism spectrum. Nearly a half million youth with autism will enter adulthood over the next decade and most will continue to require some level of support. Although autism symptoms may improve with age, co-occurring mental health issues may worsen in adolescence or adulthood. 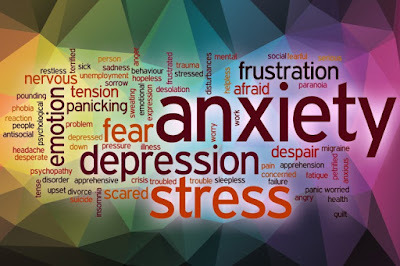 As a result, there are a sizable number of adults who are now seeking help to deal with feelings of social isolation, interpersonal difficulties, anxiety, depressed mood, and coping problems. 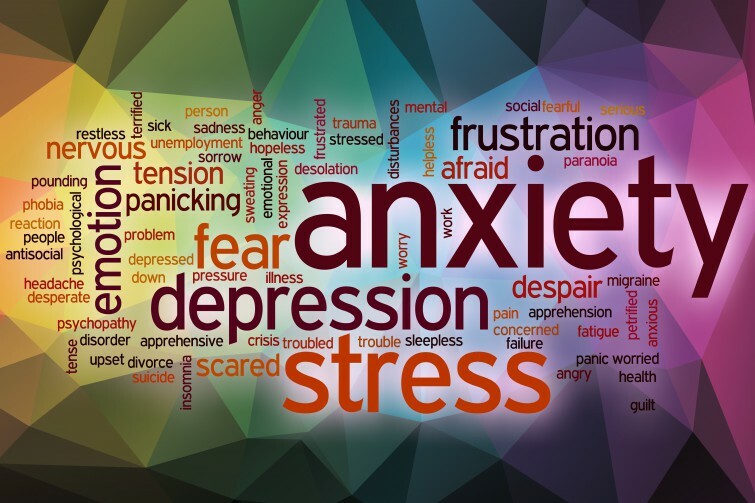 Unfortunately, mental health problems such as anxiety and depression and even the diagnosis of an autism spectrum condition itself often go unrecognized. It is only recently that mental health professionals have begun to appreciate the complex challenges faced by a “lost generation” of adults with autism spectrum conditions such as Asperger syndrome who were unidentified in childhood and have now become an underserved group. Evidence is beginning to emerge for interventions addressing the mental health needs of this growing and overlooked population of adults, including cognitive-behavioral therapy (CBT). CBT has direct applicability to more capable adults with on the spectrum who have difficulty understanding, managing, and expressing emotions. It has been shown to be effective in changing the way a person thinks about and responds to feelings such as anxiety and depression. With CBT, the individual learns skills to modify thoughts and beliefs through a variety of strategies which improve interaction with others in helpful and appropriate ways, thereby promoting self-regulation and mental health. It is a goal-oriented approach and primarily emphasizes here-and-now problems, regardless of one’s history, traits, or diagnosis. CBT also provides a more structured approach than other types of psychotherapy, relies less on insight and judgment than other models, and focuses on practical problem-solving. Low intensity CBT holds considerable promise as an effective intervention for improving the quality of life and psychological well-being of many adults with autism spectrum conditions. Award-winning author Dr. Lee A. Wilkinson's book presents strategies derived from cognitive-behavioral therapy (CBT), adapted specifically for adults with on the higher end of the spectrum, to help them overcome anxiety, and depression, and improve their psychological well-being. This self-help guide is written for individuals in the early and middle years of adulthood, with and without a formal diagnosis, who share features associated with autism spectrum conditions. It is also appropriate for adults who recognize their autistic traits, even though they may not have experienced major social difficulties and clinical impairment, but who want to improve their emotional well-being. 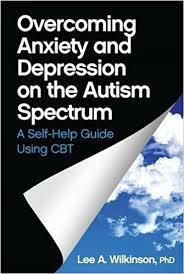 Honored as an Award-Winning Finalist in the “Health: Psychology/Mental Health” category of the 2016 Best Book Awards, Overcoming Anxiety and Depression on the Autism Spectrum: A Self-Help Guide Using CBT is an essential self-help book for adults on the higher end of the autism spectrum, and those who think they might be on the spectrum, looking for ways to understand and cope with their emotional challenges and improve their psychological well-being. Family members, friends, and others touched by autism will also find this self-help book a valuable resource. Overcoming Anxiety and Depression on the Autism Spectrum is available from Jessica Kingsley Publishers, Amazon, Walmart.com, Barnes & Noble, Target.com, Book Depository, Books-A-Million and other online book retailers. Lee A. Wilkinson, PhD, NCSP is a licensed and nationally certified school psychologist, registered psychologist, and certified cognitive-behavioral therapist. He provides consultation services and best practice guidance to school systems, agencies, advocacy groups, and professionals on a wide variety of topics related to children and youth with autism spectrum disorder. He is also a university educator and school psychology trainer. His research and professional writing has focused primarily on behavioral consultation and therapy, and evidence-based practice in assessment and intervention for autism spectrum disorder. He has published numerous journal articles on these subjects both in the US and internationally. Dr. Wilkinson is author of the award-winning book, A Best Practice Guide to Assessment and Intervention for Autism and Asperger Syndrome in Schools, published by Jessica Kingsley Publishers. He is also editor of a best-selling text in the APA School Psychology Book Series, Autism Spectrum Disorder in Children and Adolescents: Evidence-Based Assessment and Intervention in Schools. His latest book is A Best Practice Guide to Assessment and Intervention for Autism Spectrum Disorder in Schools (2nd Edition).